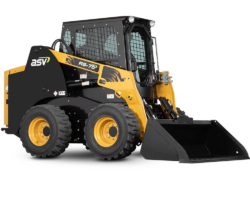 With the precision of pilot controls, fast ground speed, and optimum loader cycle time, the radial lift RS-75 not only gets a lot of work done, it gets it done in a hurry. Built Strong to Stand Out. 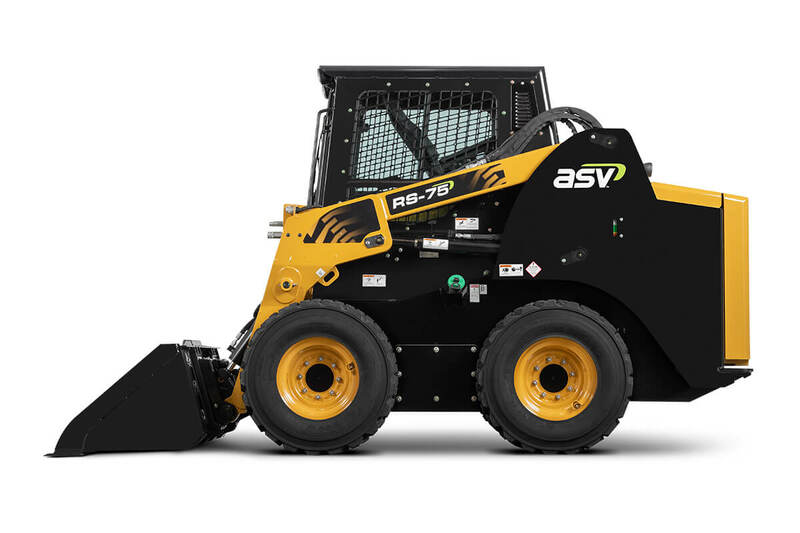 The ASV RS-75 comes with a powerful diesel engine and powertrain to excel in a range of industries and applications. 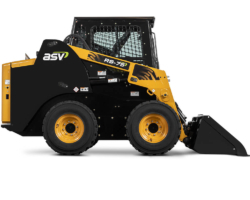 Built for speed, and with an industry-leading ground clearance height, the RS-75 is able to load more material faster without slowing down so operators can get more done in any condition. 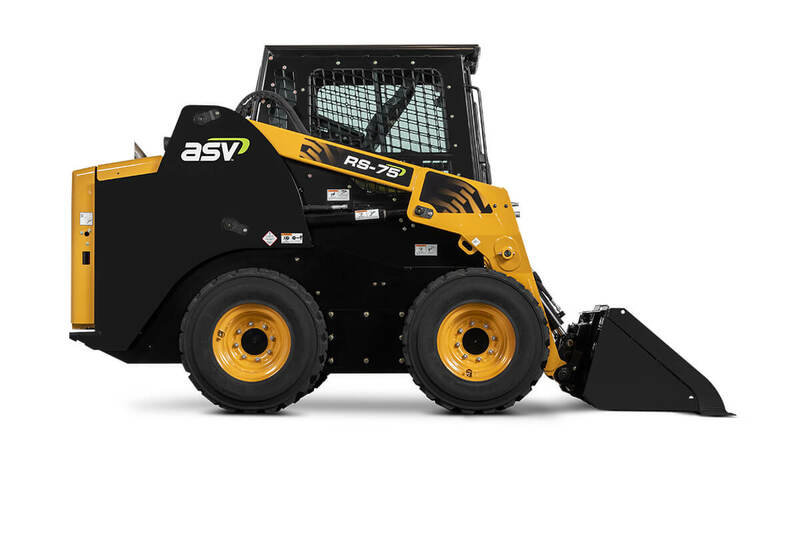 The RS-75 can drive up to 11 mph with an optional two-speed drive. 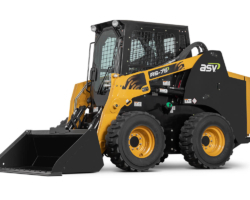 The engine powering the machine is a 2.9-liter, 74-horsepower diesel that kicks out 192 foot-pounds of torque. 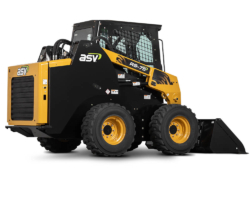 The Tier 4 Final engine eliminates the need for regeneration, exhaust sensors and diesel exhaust fluid. 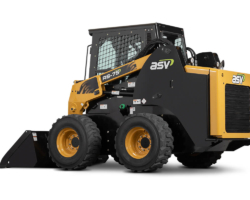 This system is designed to utilize large lines, hydraulic coolers and direct-drive pumps. 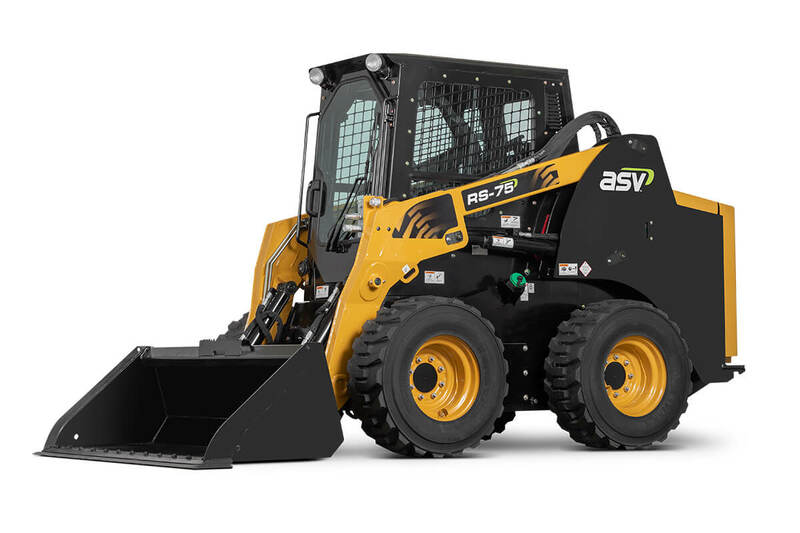 The engine that powers the RS-75 won’t lose power when running attachments with the optional high-flow auxiliary hydraulic system. Overall, it delivers flow of 30.9 gallons per minute and pressure of 3,335 pounds per square inch. 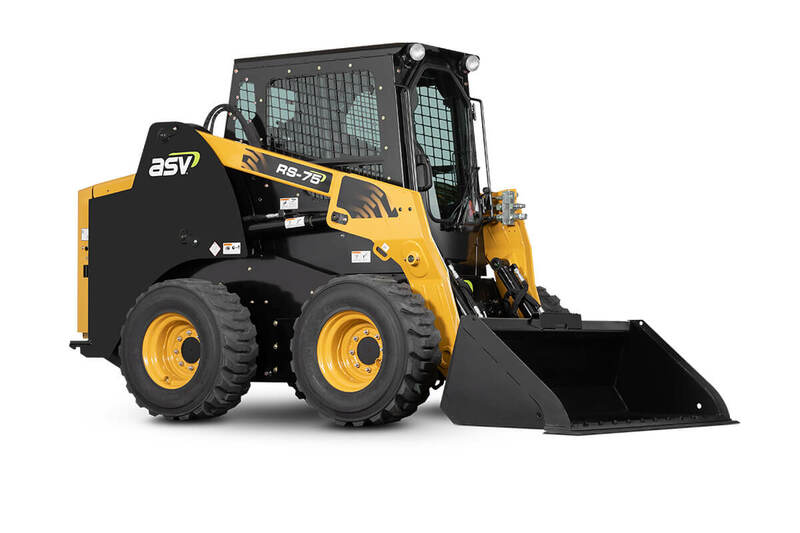 This reliable machine comes with standard hydraulic stick controls and quick-attach for attachments. Settle in and get after it on an adjustable contour vinyl seat with built-in operator presence switch, lap bar and 2” wide seat belt. 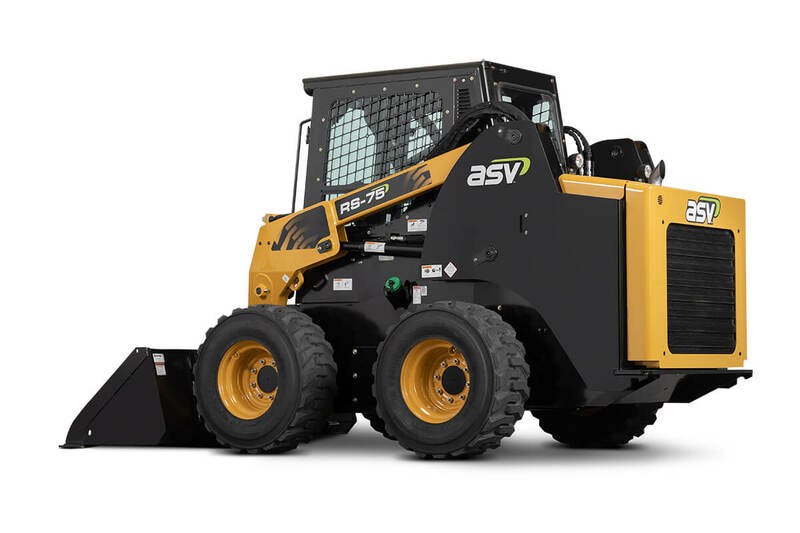 A favorite among operators, the right-hand pilot hydraulic joystick controls loader lift, lower and tilt. 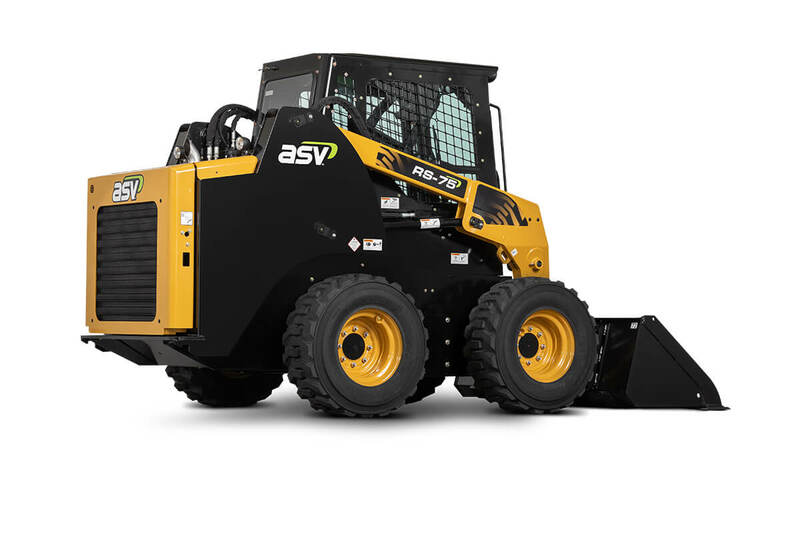 The smooth drive control features a left-hand pilot hydraulic joystick that controls speed and direction. Additionally, an all-weather, pressurized cab with heating and cooling is optional. To save you time, the engine, filters and other daily check points can be accessed through a swing open access door. All of the pins have zerk fittings easily accessed on the outer end of the pin to make greasing easier and the drive hubs don’t require maintenance because of their standard metal-face seals. 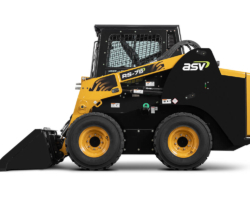 We’ll show you how these machines help you get more done, more quickly.